If you hire a removal company, it can make moving home a better experience. If you hire Moving Service, it will make moving home not only a better experience but the best experience. That’s because we’re a removal firm that gives you so much more for your money. We don’t just transport your household belongings safe and sound from London to Bath. We have a wide range of other removal services which are designed to help you with every phase of you moving house from packing and unpacking to supplying removal accessories as well as transportation. You can find out for yourself the many different ways we can help make your home or office move to Bath the stress-free relocation you want it to be by giving us a phone call. In fact why not make that phone call now to 020 8746 4402. 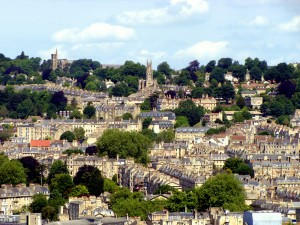 It can be the first step in making sure you moving home to Bath gets off to the best possible start. The advantages of hiring our particular home removals firm are many. We have years of experience in helping people relocate from London to Bath as well as to other places all over the UK, not to mention worldwide. As a professional furniture removals company, all our staff are highly trained in every aspect of the removal business. This doesn’t just mean our removals personnel have expertise in handling and transporting your household items with care and efficiency from one location to another. We also know the importance of being courteous and polite which we feel is an additional and essential part of our business. So if you want your house move from London to Bath to get off to the finest possible start, the best way to do that is to hire us. Apart from being a spa town, Bath is perhaps best known for its variety of architecture from Roman times to Georgian times to the present day. It is home to the world-famous Royal Crescent for instance which was built between 1767 and 1774. This vast sweeping crescent is one of the finest examples of Georgian architecture in the UK. Originally established by the Romans in around 60AD as a spa town, much of Bath’s architecture from that period, including the spas still exists today. The city nowadays has a population of around 85,000 and was declared a World Heritage Site in 1987. For removals to Bath, our domestic and commercial removal services are inexpensive, professional, reliable, trustworthy and courteous. We cater for everyone whether it’s a man with a van you’re after or a larger removal and transport service you want. 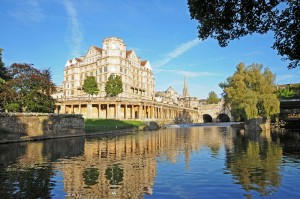 There are so many benefits in having our moving firm transport you to Bath. We have storage space available for instance for those items you’re not able to take with you to Bath or are simply unsure what to do with at present. We also have a wide range of packing and packaging supplies available for you. Crates, boxes, bubble wrap, labels…whatever it is you need we’re sure to have. Avoid the Stress of Your Move With the Help of Our Bath Movers! You’ll find when you’re relocating from London to Bath, for domestic and commercial removals there’s no other moving company which knows the journey better than us. As well as there being no other removal carrier who does more for you or has more removal services to Bath than us. We’re the removal business that is the business. Give Moving Service a call now on 020 8746 4402 and we’ll give you a free quote so you can see our prices are the business as well.